check out our book and download the first chapter and SQL primer free. Learn how to build applications with road routing and vehicle resource management considerations using pgRouting, PostGIS, and PostgreSQL. We provide both consulting and training. Consulting work includes building custom applications for your organization or fixing and supporting your existing applications. It also includes technical support for the applications and training your staff on using the applications. On-site work rates will be negotiated on a case by case basis, but will generally fall in the $152-$250/hr range plus travel expenses. To get established as a customer we require prepayment (only off-site / on-site requires negotiation) before beginning work of $152/hr for less than 10 hrs and $108/hr for 10 hrs ($1080 total). Once an established customer (a customer who has paid for 10 or more hours of work), you will be billed monthly at the below rates. Rates listed below are for work done on our premises (off-site work). Project-Based work is pre-billed 20% of the estimated cost before work can begin with a minimum 10-hour pre-payment requirement for new customers. Project work is any work deemed to require 10 or more hours worth of work. 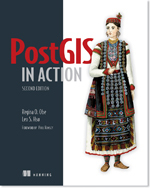 $76/hr rate for enhancements contributed back to PostGIS project. 1 This includes conversions from same database systems or different and conversion of stored procedures and functions. By non-Paragon, we mean applications that we did not develop. Applications we develop we charge the lower rate ($108 / hr). Please contact us for rates for services not listed above. Minimum billing is 15 minutes. We provide free estimates on planned projects or application enhancements. Just send us a description of your project at and we will be happy to provide an estimate. To minimize costs, we try to do most work remote. Expedited and emergency services are available at an extra cost. One-on-one training is done virtually (via e-mail or screen share) and is always pre-paid for. The training can be split up in increments of 15 minutes if desired and will focus on your specific trouble-areas. Group training costs are negotiated on a case by case basis but for on-site will fall in the $152-$250/hr range and dependent on number of people in group and hours required. The more hours the lower the rate. Training preparation will be billed at our off-site rate of $108/hr. Check out our past presentations on PostGIS and PostgreSQL Past Conference Presentations and Trainings. For GIS related tips and concepts, check out our Boston GIS tutorial site. For PostgreSQL related tips and concepts, check out our Postgres OnLine Journal site.